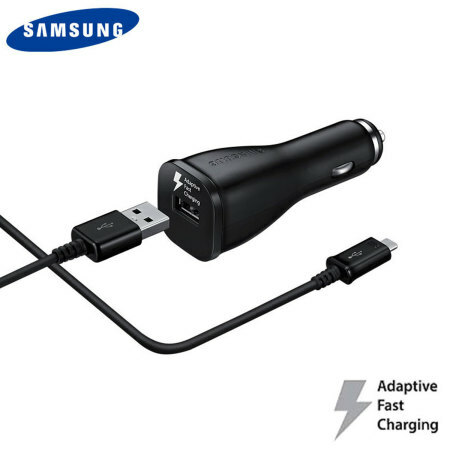 A genuine Samsung adaptive fast car charger and USB-C charging cable for your USB-C compatible Samsung Galaxy phones. Incredibly stylish and fast, this charger is a must have, thanks to its sleek design and super fast charging rates. The charger works well with fast charging and a good fit. 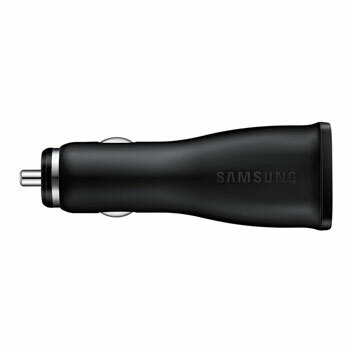 This Samsung Adaptive Fast Car Charger is an official product made from the highest quality materials and to the strictest standards. 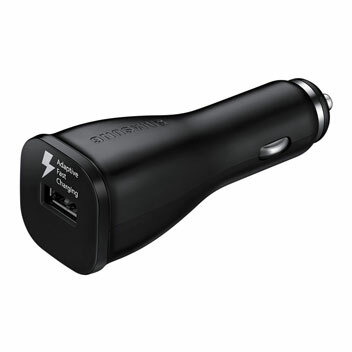 This is ideal as a spare or replacement for your existing car charger. Experience faster charging speeds than ever before with Samsung Adaptive Fast Charging. 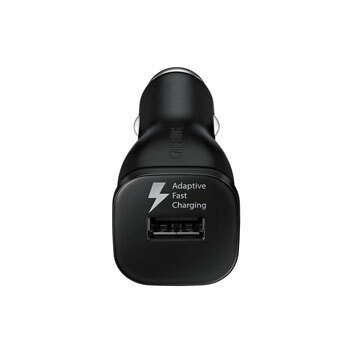 Using the built-in technology of your latest Samsung Galaxy phones including the S8 - with the Official Samsung Adaptive Fast Car Charger you can rapidly recharge your device. These phones support Samsung’s Adaptive fast charging feature and Qualcomm Quick Charge technology. 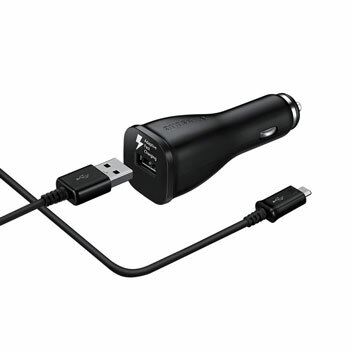 This product comes with a genuine Samsung USB-C cable for you to use with your compatible devices. Charge in your vehicle with ease in next to no time. The genuine Samsung adaptive fast car charger comes in 2 separate parts (Charge and cable) which easily fit together for quick and convenient charging.